Size : 14.6 x 19.5 inches. / 37.0 x 49.5 cm. 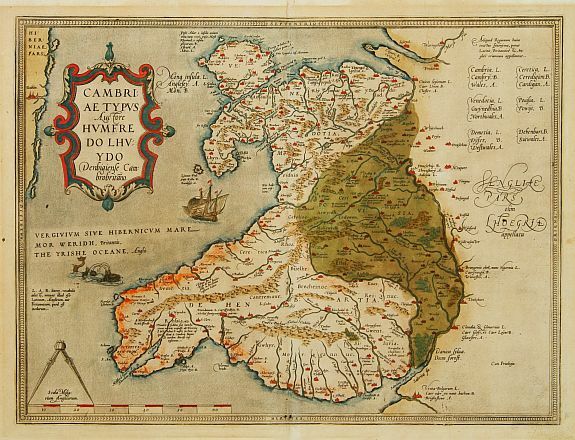 Description :Ancient map of Wales, prepared by Humphrey Lhuyd. With fine cartouche, ship and a sea monster. Broecke, Ortelius Atlas maps, 21. Condition : Paper slightly age toned as usual. Paper broken on a few places, due to oxidation of green paint, locally with paper backing for protective reason.